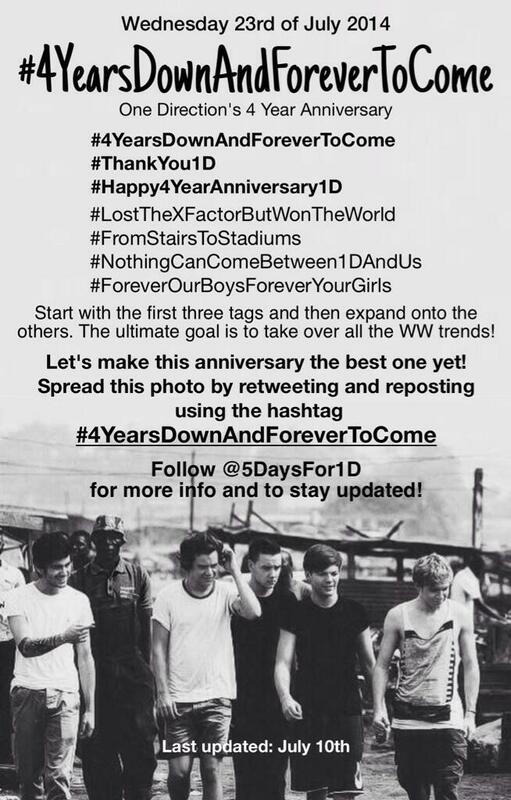 July 15, 2014 April 5, 2015 by Audra K.
One Direction’s 4th Anniversary is coming up! 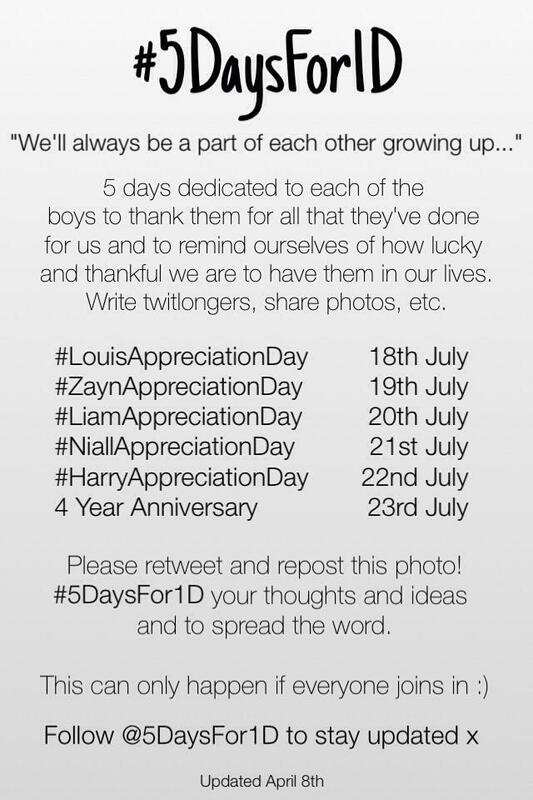 The boys have an 18 day break before they will start the NorthAmerican Leg of the Where we are tour….omg what will do until August 1st (Lol) yes sadly it will be a little quiet:) On July 23rd the boys will have their 4th Anniversary of One Direction. ..I’m not sure what their plan is but the fandom will not rest, or let them rest that day for sure!! 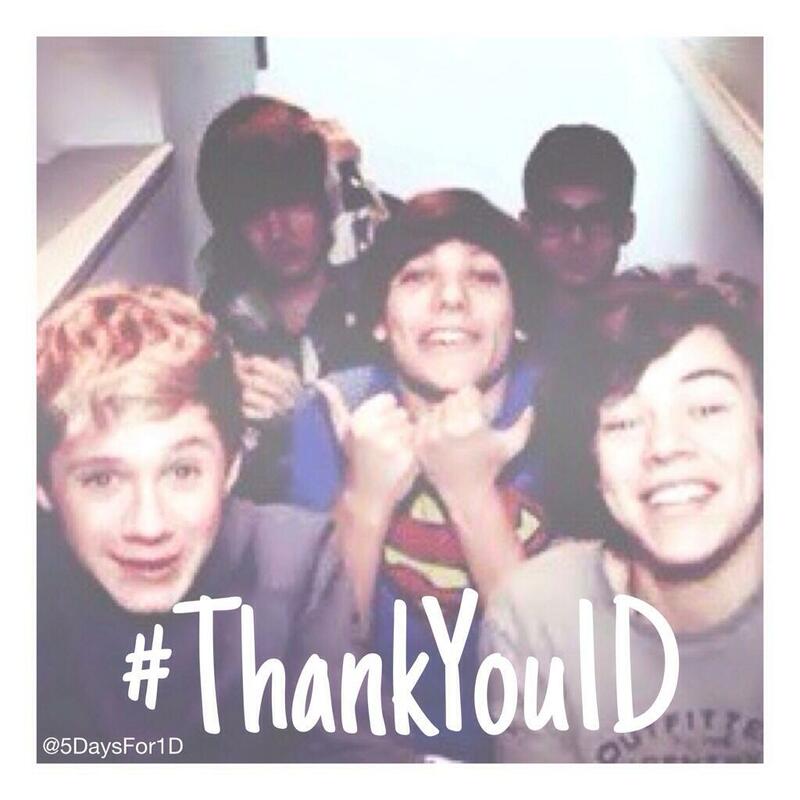 We love you boys and Thank-you! !